Roxy's Remedies is a USA-based company that designs and formulates skin care products specifically for dogs with sensitive skin. Roxy's Remedies was created after Roxy underwent a surgery that caused her to develop severe skin allergies. Before the photoshoot, I knew there were going to be challenges when working with a senior dog like Roxy, a 12 year old Australian Cattle Dog who is partially deaf and suffers from arthritis. My first obstacle was to design a session that was not only safe for Roxy but also met the client's expectations. 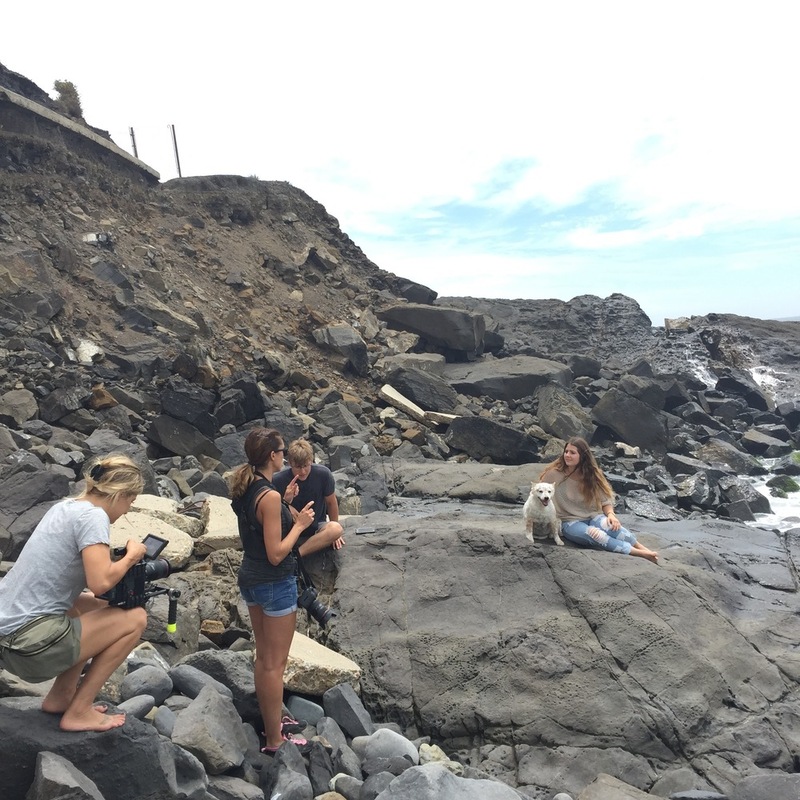 As the face of the brand, Roxy was expected to participate in a ten hour day that included both photography stills and filming at two locations. I made sure to secure locations within walking distance—or carrying distance, in Roxy's case—where she would be safe and comfortable but would also allow me to capture the beautiful, local scenery. My second obstacle was working with Roxy during the photoshoot. Due to her partial deafness, she has a hard time following commands, so I had to get creative with both my shots and my interactions with her throughout the day. In addition, Roxy's arthritis prevents her from walking or standing for long periods of time and can cause her occasional body pain. However, I was still able to plan unique shots that captured Roxy's playful and happy spirit without compromising her comfortability. At the end of the day, Roxy did an amazing job, and we couldn't be more pleased with the results. Here are my favorite shots from the day. Human talent: Olivia San Filippo, Marianne Cronin.